He was a Minnesota native, playing hockey for Team USA even before making his NHL debut. She hailed from California and hoped her artistry could capture the ladies figure skating title. When their paths first crossed at the 1992 Olympic Winter Games in Albertville, France, Kristi Yamaguchi and Bret Hedican began their love story. In an era where love is depicted by reality television engagements, blockbuster weddings and 72-hour marriages, Yamaguchi and Hedican still show the same dedication to each other after 17 years that they once showed their respective sports. As their love story continues to be written, their fairy tale has a unique, “once upon a time” beginning. The year proved to be a defining time for both. Hedican was drafted by the St. Louis Blues and Yamaguchi became the World Junior champion in both the ladies event and the pairs event with partner Rudy Galindo. With the Olympic Winter Games just one year away, Hedican was named to the Western Collegiate Hockey Association All-Star team, while Yamaguchi won her first senior ladies World title. Yamaguchi and Hedican met for the first time at the Olympic Winter Games in Albertville, France. While he represented his country, she captured the gold and the hearts of many Americans. Yamaguchi and Hedican both attended the opening of a hockey arena in Vancouver. 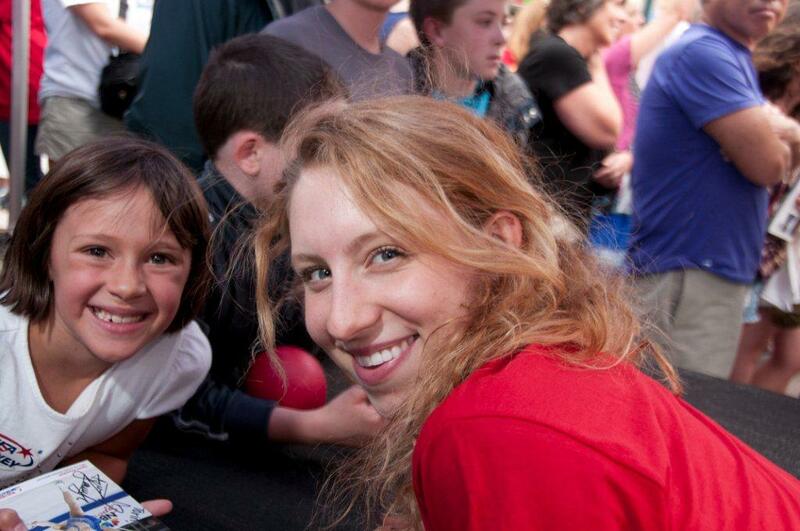 Three years after their Olympic encounter, the two began dating. Hedican and Yamaguchi tied the knot on July 8. The couple exchanged vows in front of 300 guests after a picture-perfect sunset over Hawaii’s Kohala coast at the Mauna Lani resort. Yamaguchi and Hedican welcomed Keara Kiyomi Hedican, a baby girl, born Oct. 1 in Raleigh, N.C.
Yamaguchi was inducted into the Olympic Hall of Fame. Later that year, the pair welcomed their second child, Emma Yoshiko Hedican, born on Nov. 17 in Raleigh, N.C.
Hedican won the Stanley Cup with the Carolina Hurricanes, played for Team USA in the Olympic Games for the second time and enjoyed official “Bret Hedican Day,” declared in North St. Paul, Minn. on Aug. 12. After 17 years in the NHL, Hedican announced his retirement from the sport in 2009. In honor of his achievements, Hedican’s number was officially retired in 2010. The following year, Yamaguchi would release her first children’s book, Dream Big, Little Pig, which became a New York Times best seller. Yamaguchi has written two children’s books, starred in a Power Workout DVD and plans to launch her own line of active wear. Hedican is the Founder and CEO of E360, works as a local sports analyst for Comcast Sportsnet and travels the country as a motivational speaker for various companies and universities. 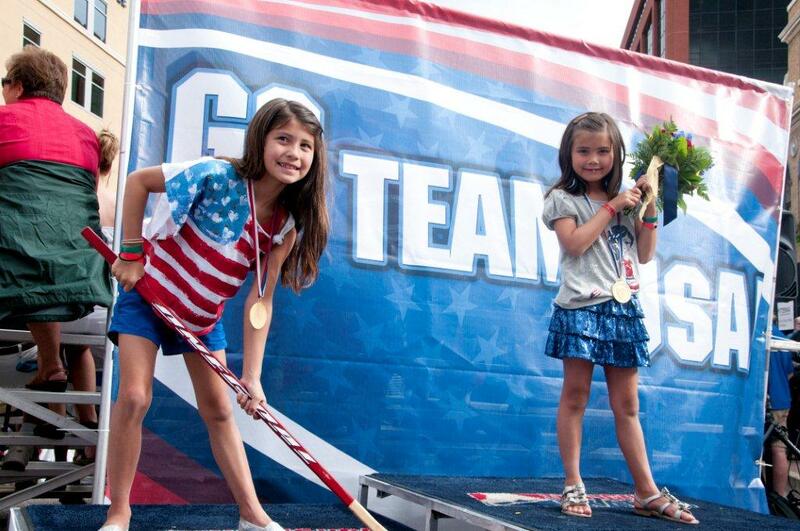 On July 27, the couple made their way from California to Colorado Springs to share Yamaguchi’s on-ice success with their daughters for the very first time. 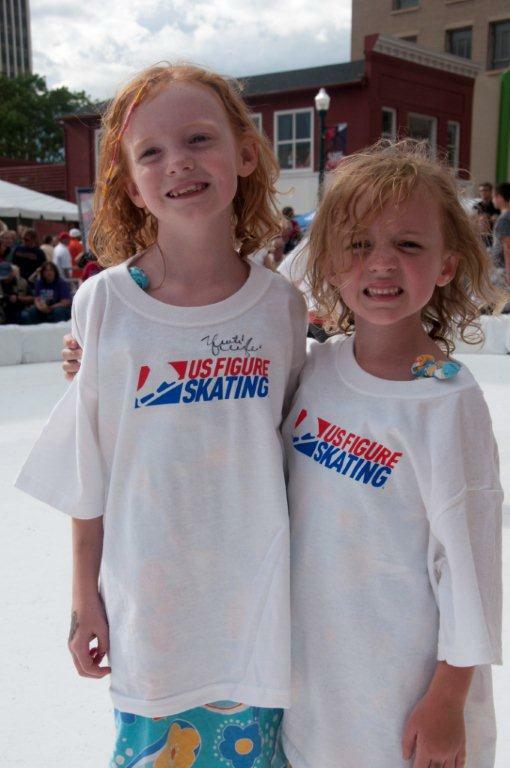 Now 6 and 8 years old, the girls visited the World Figure Skating Museum and Hall of Fame, where their mother’s Olympic gold medal and famous black dress have been on display for the past 17 years. Photos of the family visit to the World Figure Skating Museum and Hall of Fame can be seen in the slideshow below. Thanks to Peter Zapalo, here are some pictures from the Olympic Downtown Celebration held last night in Colorado Springs, Colo. The ISU announced today the full lineups for the first ISU Junior Grand Prix (JGP) of Figure Skating Series event of the season to be held Aug. 22-26, Courchevel, France. 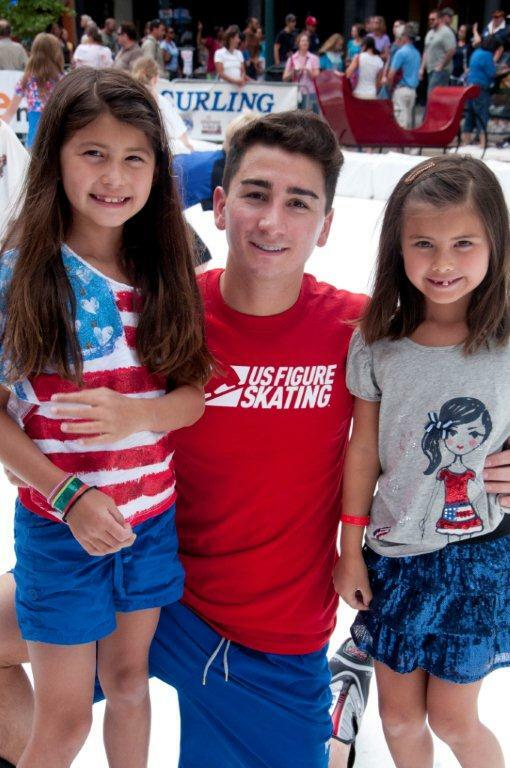 The eight-member Team USA will be led by reigning JGP Final champion Jason Brown. Competitors for the remaining events will be announced in the coming weeks. On Friday, July 27, several national governing bodies will celebrate the Olympic spirit as the 2012 Olympic Summer Games commence in London. U.S. 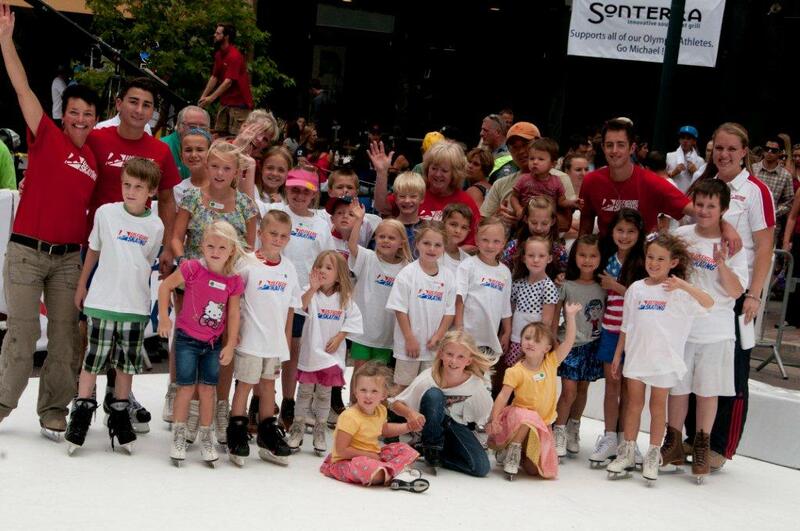 Figure Skating will take a lead role in the Olympic Downtown Celebration, a first-time event set to take place from 4-10 p.m. (MDT) in Colorado Springs, Colo., on Tejon Street between Kiowa Street and Colorado Avenue. 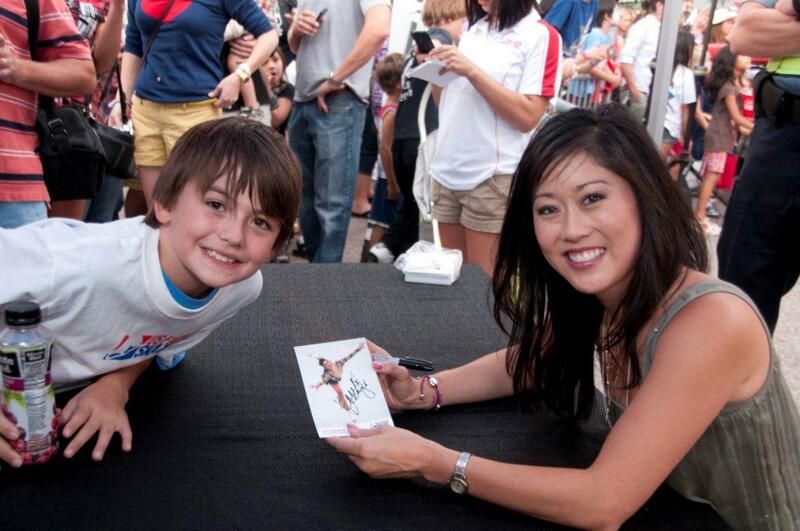 Fans of figure skating will have the opportunity to meet and receive autographs from Olympic gold medalist Kristi Yamaguchi, glide across an outdoor ice surface in the middle of summer and receive lessons from the area’s finest instructors, all free of charge. After refining their skills on the ice, skating’s future stars will even be able to wear genuine U.S. Figure Skating medals as they pose for pictures atop the U.S. Figure Skating Championships podium. While summer athletes will take the center stage in London, fans at the Olympic Downtown Celebration will be able to experience the thrill of winter sports through U.S. 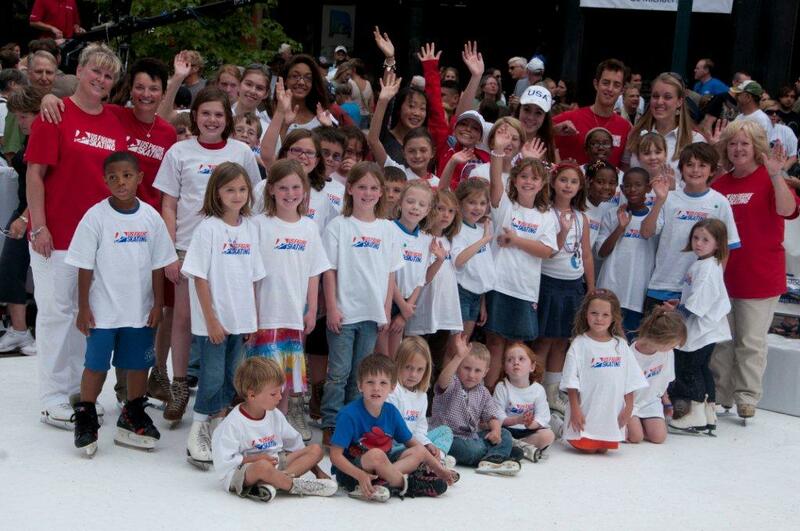 Figure Skating’s SkateFest, USA Hockey’s youth skills demonstration and USA Curling’s fan experience, where coaches will provide instruction for each sport. Sponsored by Ice Rink Engineering’s EZ Glide 350, the 30-by-60-foot synthetic ice surface will host a SkateFest from 4-6 p.m. Complimentary skates will be provided by Honnen Ice Arena, and skaters will receive instruction from the staff of Colorado College Skating School, the World Arena Ice Hall and 2011 U.S. junior champion Max Aaron. Additionally, Yamaguchi will take part in an autograph signing with current members of Team USA who train in Colorado Springs. The event, which is free to the public in its entirety, will not only feature the outdoor SkateFest, but a wildfire benefit concert featuring American Country Music Award winner Rodney Atkins and more. 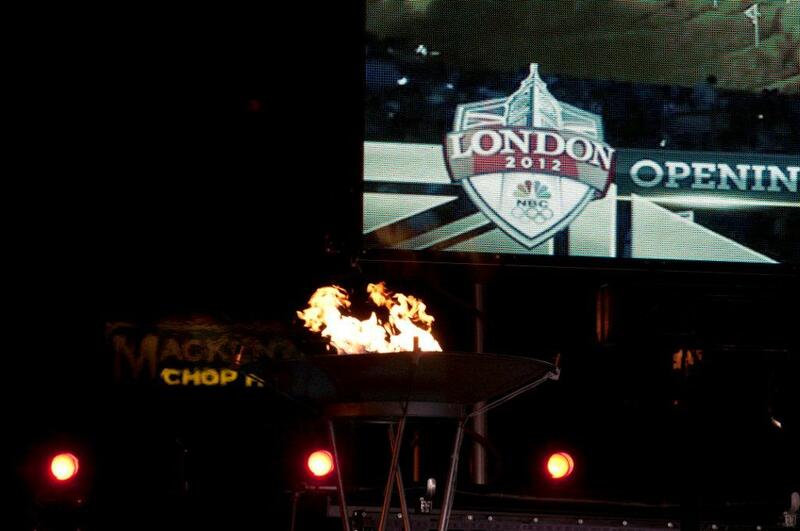 The festivities will coincide with NBC’s telecast of the Opening Ceremonies in London. As fans make their way through the event, they will be entertained by acrobats, interactive sports activities, a BMX stunt team and a miniature kids’ tennis court provided by the U.S. Tennis Association. 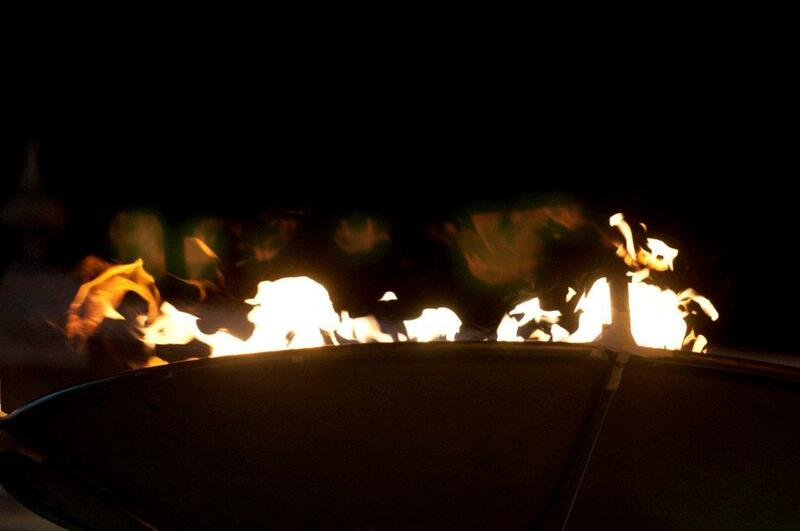 In keeping with Olympic tradition, the event will also include a torch run, featuring several notable sports figures. The torch will begin its journey at the Olympic Training Center, make its way through the city and arrive at the Olympic Downtown Celebration, where the local cauldron will be lit at about 9:30 p.m. A 27-foot-wide television screen will broadcast the cauldron lighting in London, while Yamaguchi and her husband, two-time Olympian and Stanley Cup winner Bret Hedican (USA Hockey), light a special cauldron in Colorado Springs. Local torch runners include 2012 U.S. pairs champions Caydee Denney and John Coughlin, and Dot Lischick, general manager of World Arena Ice Hall, which recently was named the official U.S. Olympic Training Site for figure skating. Rich with Olympic history, Colorado Springs has been the hometown of the U.S. Olympic Committee since 1978 and is the city where Olympic and Paralympic dreams have begun for more than 350,000 athletes. As the community gathers to honor that history, the devastation left by the recent Waldo Canyon wildfire sits heavily in the hearts of those who call the city home. In an effort to support those affected by the fire, radio stations Cat Country 95.1, in partnership with KCCY and business owners Sam and Kathy Guadagnoli, will host a free concert headlined by Atkins. 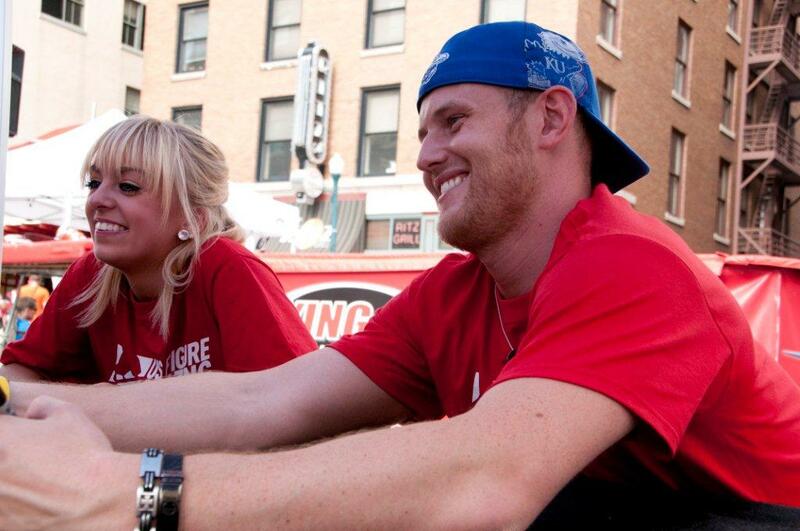 Andy Gibson will open the concert near 7 p.m. Atkins, a fan favorite with six No. 1 hits, will take the stage near the intersection of Kiowa and Tejon streets near 8 p.m. and encourage the listening audience to contribute to the “Battle The Blaze Fund,” created by the Pikes Peak International Hill Climb and The Colorado Springs Sports Corp. All funds will go toward the wildfire relief effort. In addition, the concert will feature a beer garden, with proceeds going to the wildfire relief fund. Participants will be encouraged to donate to the fund, which strives to support the many agencies and services involved in fighting the fire and its aftermath. Donations can also be made to the “Battle the Blaze Fund” now online. The event is primarily funded by the Downtown Development Authority with support from the U.S. Olympic Committee, the Colorado Springs Sports Corporation and AT&T. KOAA-TV, the city’s NBC affiliate and home of the Olympic Games broadcasts from London, will provide the broadcast feed and special promotion of the event. Every month U.S. 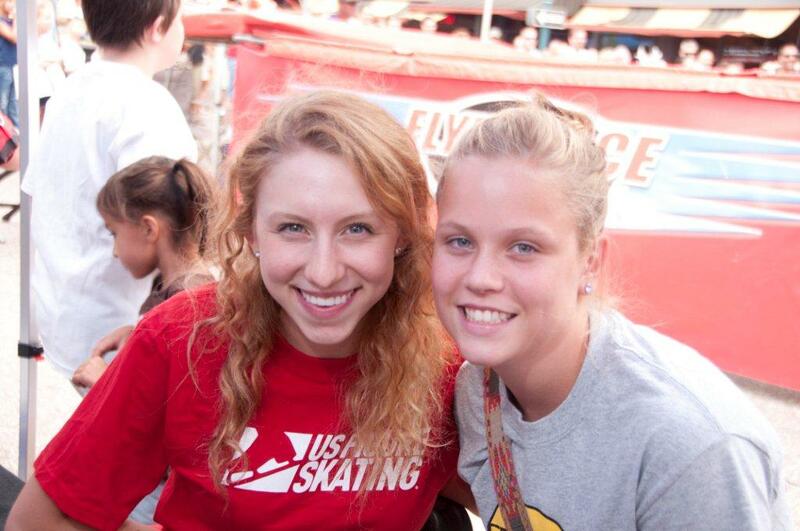 Figure Skating hosts an online auction to support the Memorial Fund or one of the many programs at U.S. Figure Skating. This month, Pic Skate has generously donated a pair of “Professional” PIC Skates (#704) to be auctioned off along with a t-shirt autographed by athletes at the 2010 U.S. Figure Skating Championships! The “Professional” (valued at $495) is designed to provide the support and response necessary for the most demanding moves. Whether landing double jumps or executing a lay back spin, the “Professional” stands up to the task. Choose the freestyle 4 wheel model or the dance/freestyle 3 wheel model. The auction winner will provide a boot size, with the three wheel version available in sizes 7 or smaller. We’d like to thank Pic Skate for their donation and we know the winner of the auction will love their skates and t-shirt! For more information about their products, visit www.picskate.com.